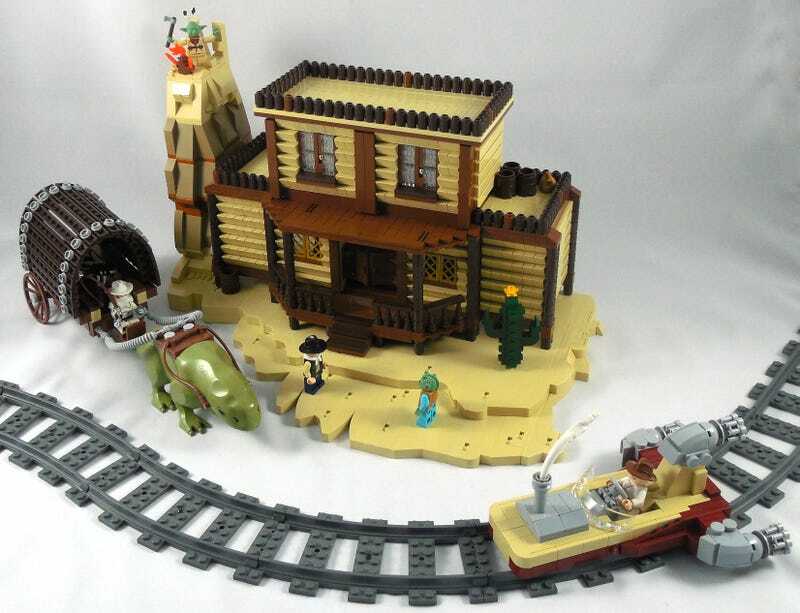 This great scene titled Los Eisley Saloon by Letranger Absurde gets my award for funniest build of the day. The stand off between Han and Greedo is great and the storm trooper piloting a coach made my day. Hopefully Luke can make it to Tosche station to pick up those horseshoes he's after.